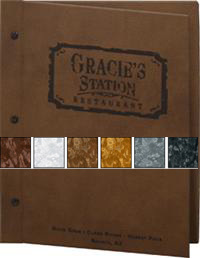 Chicago Menu Boards are an elegant choice for large menus and wine lists, offering up to 12 pages and 24 views (clear vinyl 3-hole punched page protectors sold separately). 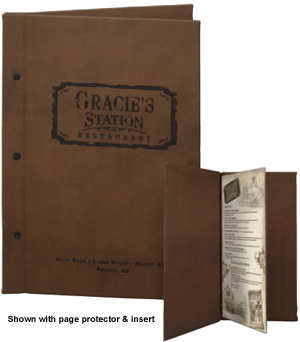 The hinged cover comes with 3 detachable black screw posts allowing easy access for menu updates. 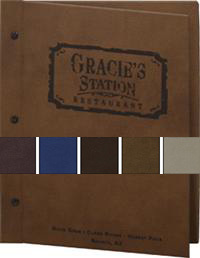 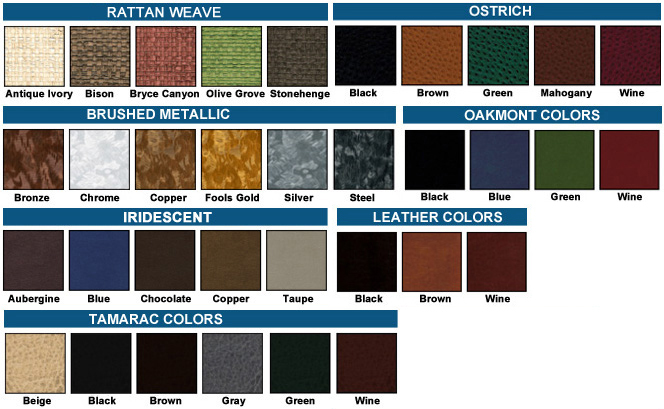 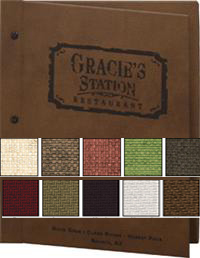 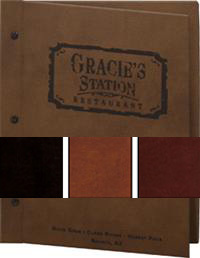 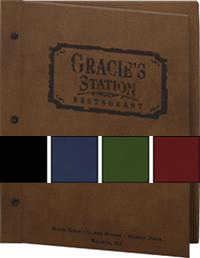 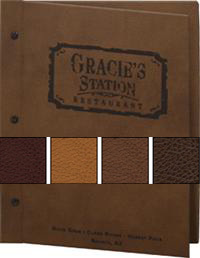 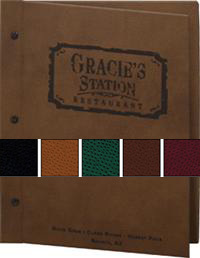 Chicago Menu Boards come in 9 beautiful material options and 48 different colors to match any restaurant or bar decor. 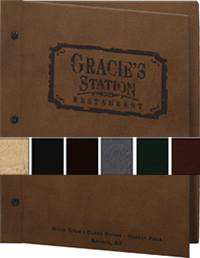 Chicago Menu Boards can also be customized with your logo on the front hinge or back cover.